We are an interesting group of people that do interesting things. "To enhance the beauty of the community by offering top quality botanical services, competitively priced, in the most efficient manner." 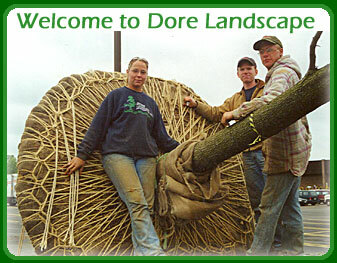 We are a full service 'design-build' landscape corporation; located on 22 acres in Pendleton, NY. ; 1 mile east of the Erie Canal. The majority of our commercial projects are total property maintenance including in-season plant/lawn maintenance as well as the winter services of plowing, shoveling, salting and moving of snow. The majority of our residential projects are large-scale rehabilitation of existing landscapes. We have this site partly so you can get a look at some of the things we do, but mainly so you can contact us and find out how we can help each other. We use pictures, here to tell our story; our work with plants, our wide scope of landscape construction, our extensive work in large tree planting and a view of some of the equipment we utilize to do this work.